Northern wheatears fly amazing distances every year. They breed far north and spend the winter in the Sahara. 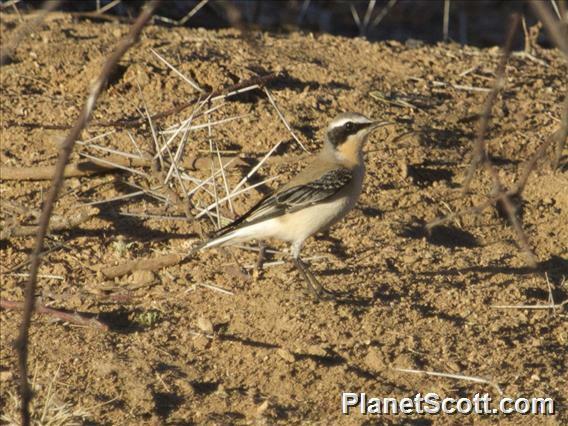 Some northern wheatears fly up to 15,000 kilometers. Not all northern wheatears breed so far north. In the summer, they are found throughout Europe. One of their favorite places to nest in the Netherlands is in deserted rabbits burrows. They like treeless terrains, such as tundra, open mountainous areas, heath fields and bare dunes. Sometimes, they sit on a stone or in a bush while waiting for a prey; other times they run around as they search for insects, spiders, snails or berries.